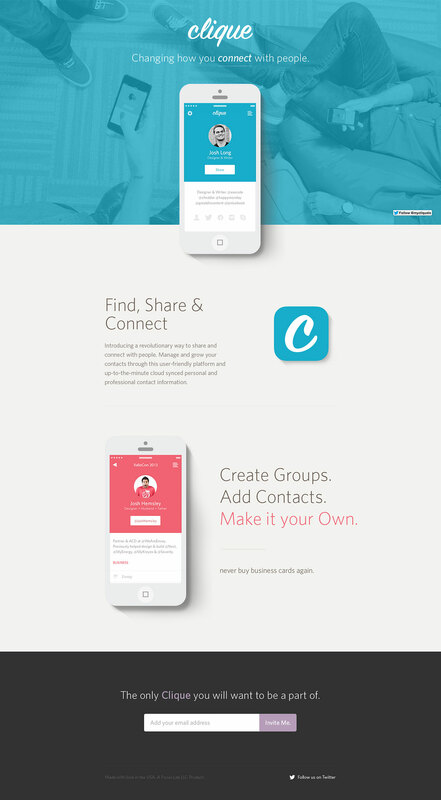 Lovely clear and spacious launching soon page for ‘Clique’ – an upcoming networking tool. Nice touch using an aerial view of people actually using the product on their phones, not just a stock photo. Introducing a simplified way to share and connect with people. Manage and grow your contacts through this user-friendly platform and up-to-the-minute cloud synced personal and professional contact information.